Hey there, everyone! We’ve got to make the most of the nice weather while it lasts and get all the rides in that we can. But riding in the warm weather can be a pain to, being so hot in all that gear and a lot of bike gear isn’t great for socialising or blending in. So I thought I’d make a blog post to talk about some casual gear that will be great for casual rides, allow you to blend in a social crowd but also keep you well protected. finding decent casual looking gear can be an expensive search though and the total cost can really climb up depending on the brands you’re looking at. So for this particular list I’ve challenged myself to only look at items with a price tag under £100. To keep the prices low there may have to be a little bit of compromise though, such as a bit less versatility for various weather conditions. So this list of gear is ideally for wearing on a nice, warm, dry day. The first item I thought of was shirts. I’ve covered motorcycle hoodies and such before but until it was brought to my attention, I didn’t know that actual motorcycle shirts even existed. One such shirt is the Oxford Kickback Motorcycle Shirt. The “shell” of the shirt is made from a durable, slightly stretchy cotton, making things still feel comfortable and natural as a shirt should instead of a more tough-to-move-in material. 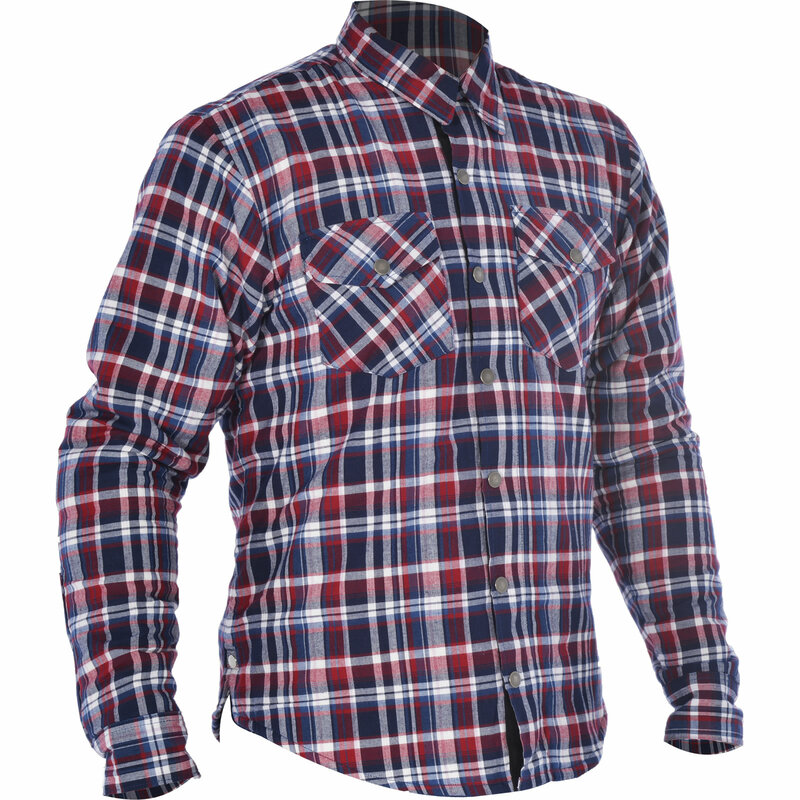 It does well with abrasion resistance for what it is with extra hidden layers of material but to help keep your skin safe the shirt has a whole second layer to talk about. That second layer is the Kevlar lining. Inside the jacket you have great coverage of 100% DuPont Kevlar, a material famous for it’s abrasion resistance and ability to hold up in extreme circumstances making this jacket very reliable. It’s a great, protective option that you could wear on a casual ride out, wear it on the bike and hop off without needing a wardrobe change. No one would even know it was a motorcycle shirt at whatever social happening you happen to be going to. At £89.95, this is a really great bit of kit. 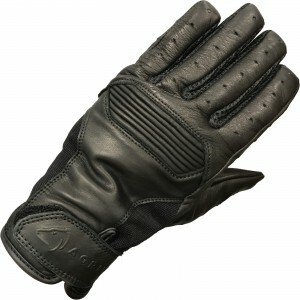 This next item is one I’ve covered in a blog before- The Agrius Cool Summer Evo Leather Motorcycle Gloves. These gloves have to go into my list of ideal casual wear for a few reasons. The first reason is the looks- these gloves look great. They’re nothing flashy with lots of colour and in-your-face branding like you can find on sporty looking gear. They’re a simple, classy looking pair of leather gloves that’ll save your skin and look great both as part of a casual kit or if you’ve got a more classic look going on. Another advantage of these gloves in that they’re soft. You can roll these gloves up and easily store them in a pocket if you don’t want to keep them in your helmet, making them ideal for carrying around with you. The next great thing about these gloves is the price. Not everything on this list is going to be super-expensive designer stuff and these gloves are my most favourite of all the bargains. At £14.99 you have to give these gloves a try. Now on to footwear! 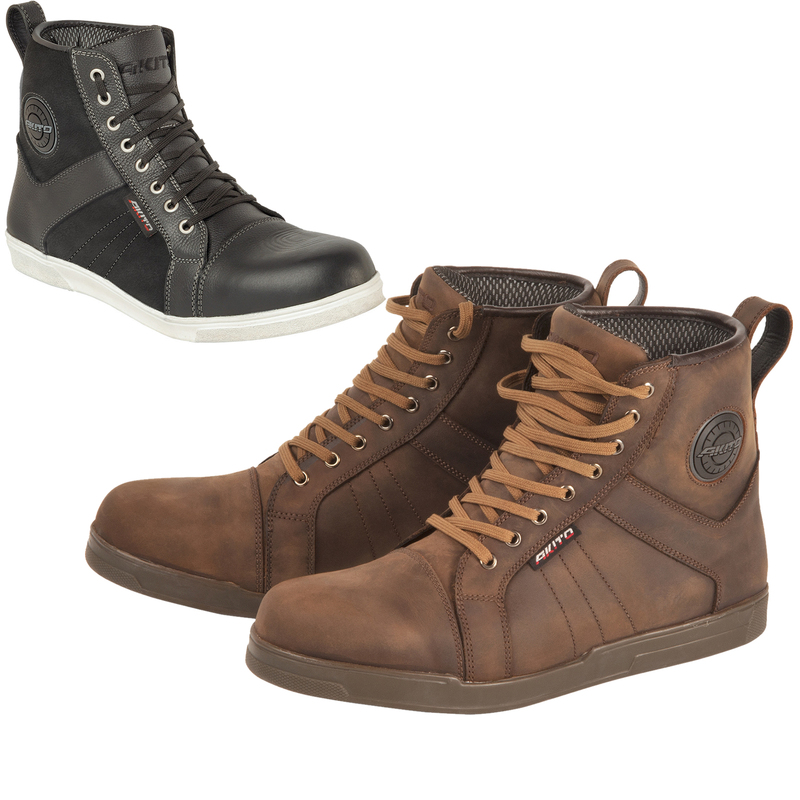 The Akito Citizen Motorcycle Boots blend in disguised as a normal pair of trendy hightop shoes but really they’re a pair of protective bike boots. They’ve got everything a biker could need from moulded reinforced areas to non-slip soles and waterproofing. You’d never know that these boots were for bikers, even if you were to get up close to them and have a really hard look. So they’re perfect for wearing on the bike and then hopping off to mingle without wearing a lager pair of clumsy boots or something way more obvious. For £74.99 this is a really great find and I want mine in black. 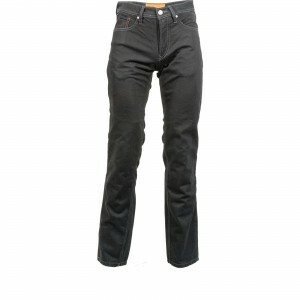 For leg wear I have to go with the Richa Hammer Motorcycle Jeans since I own a pair. Wearing them right now, even! These jeans have been great and I’ll be investing in another pair soon since I like them so much. 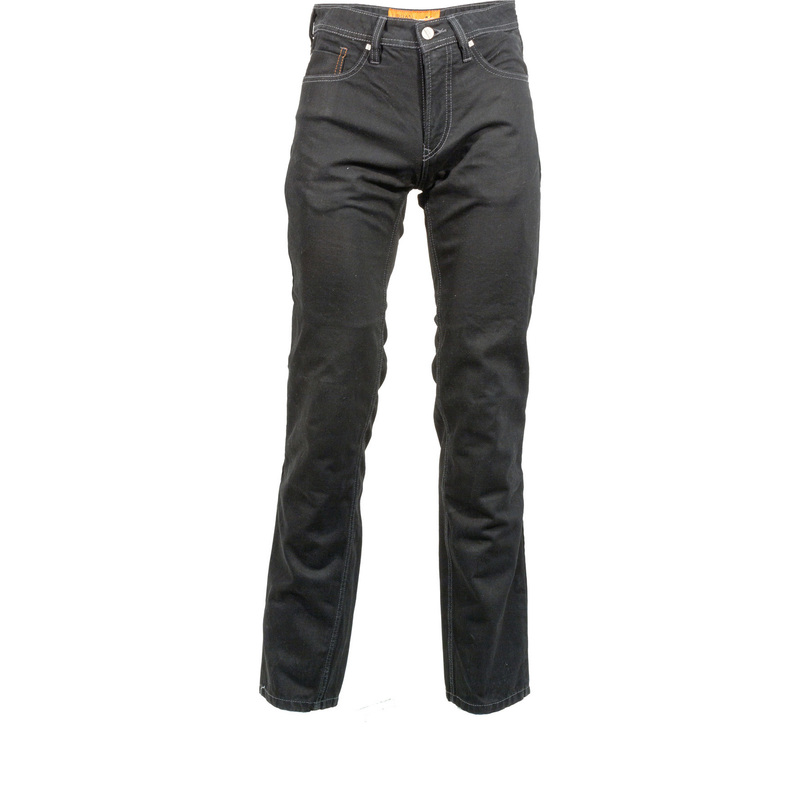 They’re a brilliant pair of jeans that are lined with Kevlar to give you a safe and abrasion resistant pair of pants. No one would even know that you’re probably wearing one of the most protective pairs of pants in the room. They even come with removable knee armour inserts so you have the choice of riding with a bit more impact protection. I love mine to bits and the £89.99 price tag has been well worth it. There’s a few colours to choose from, I already have a pair in black so I reckon I’ll get a blue pair next.